› Cookie with seeds & cereals: a small cookie with linseed, poppy and buckwheat subtly flavoured with vanilla. › Cookie with chocolate & hazelnut : a small cookie combining dark chocolate chips and hazelnut pieces. Enjoy this products from December 2015 ! 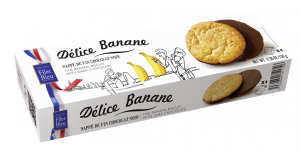 We are pleased to present you our new references: Délice Banane & Délice Caramel! 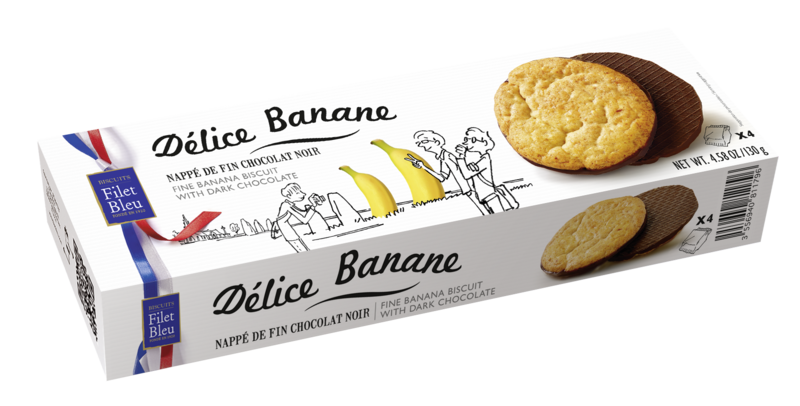 Fine biscuits with a dark chocolate coating, a natural and unique recipe for a guaranteed delight: 100% fruit, palm oil free, free from preservatives and artificial colourings. Enjoy our products from October 2015 ; along with our strawberry and mandarin references, already on shelves ! 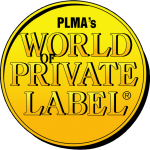 PLMA 2012: Meet us in Amsterdam! 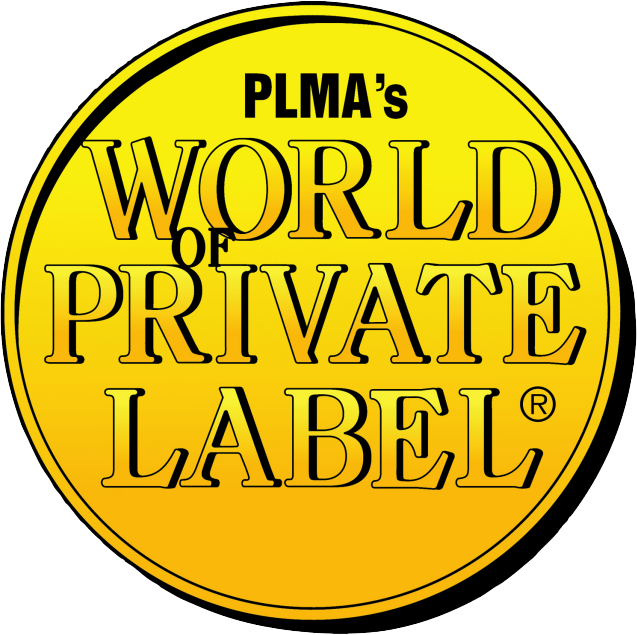 Our sales team will be attending the PLMA 2012 trade show on 22nd and 23rd May in Amsterdam. Come and discover our products and innovations on our stand N° 3514 in Hall Europa Complex! Filet Bleu will be attending the MDD EXPO 2012 trade show on 3rd and 4th April. We will be glad to present you our products and innovations. Come and meet us on our stand K60/L59 (Pavillon 3)! Filet Bleu opens its doors to teachers and students! 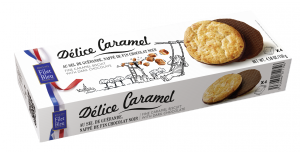 Luc Cebron, Managing Director, was glad to receive about 15 students and their teacher in our biscuit factory. By visiting the plant, our team has introduced them to the industry and working world. ISM 2012 : Come and meet us! From 29th January to 1st February 2012 come and meet us in Cologne at ISM, the first international Sweets and Biscuits Fair! We will be happy to show you our new products on our stand (Hall 4.2 Stand F24)! 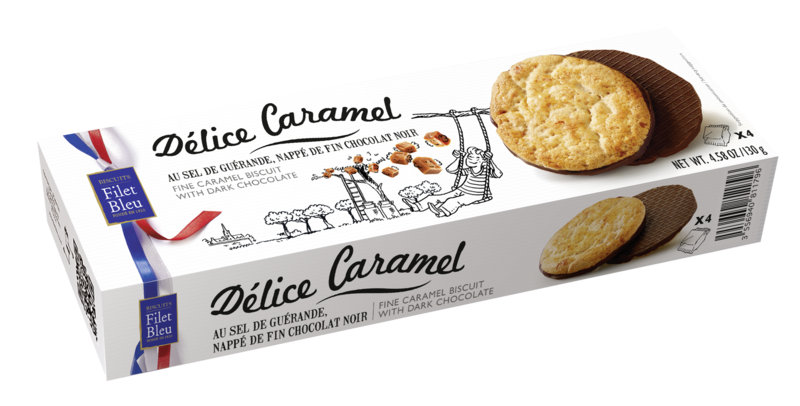 Our biscuit factory has been rewarded by the magazine « Process Alimentaire » for its proactive efforts in sustainable development.